In the technology era of today, there are many consumers in Pakistan who are fond of keeping new and latest mobile phones, as don’t think of it just as an accessory but as a fashion symbol. A mobile phone with least whine and great battery life is every mobile phone enthusiast’s fantasy. Here in this blog, I will be discussing the top 25 upcoming mobile phones in Pakistan, which will be fully loaded with innovative specs and features. The phones which I will be discussing in this blog belong to mobile phone brands like Sony, Samsung, Xiaomi, Lenovo, Nokia and many more. Xiaomi Mi A2 price in Pakistan is yet to be confirmed by the Xiaomi officials, but as per the rumors in the smartphone industry regarding its price is that it will be around Rs.50,000. Xiaomi Mi A2 will be featuring a 5.99-inch touchscreen display with a screen resolution of 1080x2160. This kind of screen resolution will surely make the viewing experience on all sorts of media apps and photos extravagant for its users. Under the hood, you will see a 2.2 GHz Octa-core processor which is going to be coupled with 4/6GB RAM. 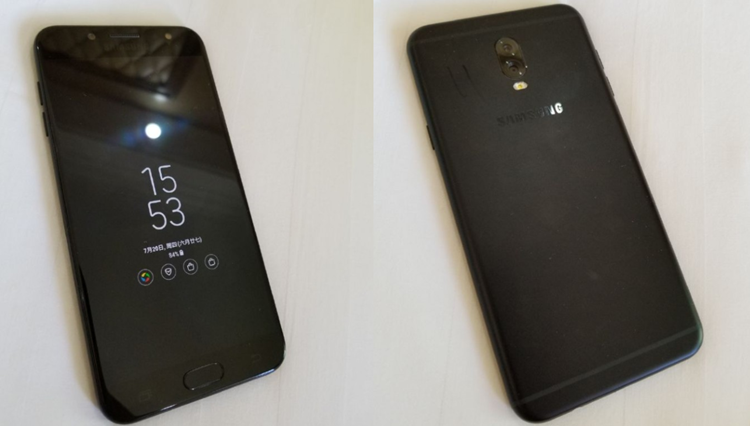 The phone is expected to be available in two different storages 64/128GB. The 64GB variant of Xiaomi Mi A2 will be coming with 4GB of RAM, while the 128GB variant will come with 128GB of internal storage. Both the variants cannot expand their internal storage as there will no microSD card slot. When we talk about Xiaomi MI A2 cameras, you will be glad to know that it will be featuring a dual 20+12MP rear camera with PDAF, autofocus and LED flash, whereas at the front you will get to see a 20MP selfie shooter. Both the cameras have impressive video and picture capture result, which will surely be loved by its fans. The phone will be powered with 3010mAH battery, which will give it a standby time of 12-16hrs depending on the usage of the users. The phone will be running on Android Oreo v8.1. The connectivity options that will be available in Xiaomi Mi A2 include 3G/4G, Wi-Fi, NFC, GPS, and Bluetooth. Xiaomi Mi A2 release date in Pakistan is expected to be August 2018. Vivo X21 UD price in Pakistan is not confirmed till date by the Vivo officials for its valued fans in this region. However, there are fan-made expectations related to Vivo X21 UD price that it will be around Rs.50,000. 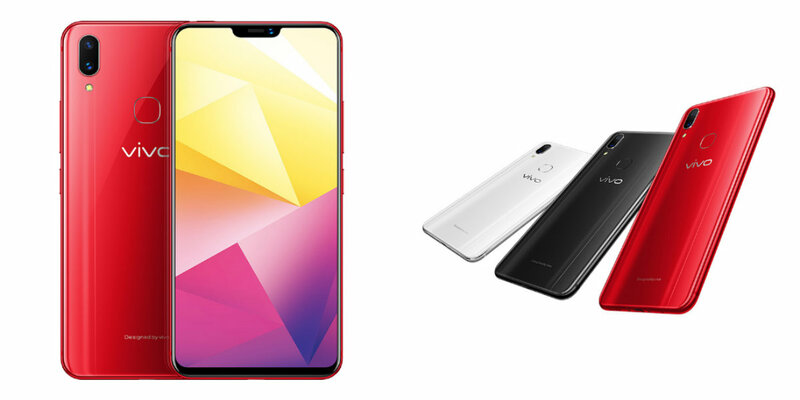 X21 UD is an upcoming flagship smartphone by Vivo, which will be featuring a 6.28-inch touchscreen with a screen resolution of 1080x2280 pixels. Under the hood, you will see a 2.2GHz Octa-core processor along with 6GB RAM. The phone will come with 128GB of internal storage which the user can effortlessly expand up to 256GB via microSD card. The microSD card will be inserted in the SIM 2 slot. Vivo X21 UD is going to be a dual-SIM smartphone, which will have connectivity options like 3G/4G, Bluetooth, GPS, Wi-Fi and USB OTG. When we talk about Vivo X21 UD cameras, you will be seeing a dual 12+5MP rear camera with a depth sensor, autofocus and LED flash, whereas at the front you will get a 12MP front selfie shooter for clear and HD quality selfies. The phone will be running on Android Oreo v8.1, which will help it perform multitasking in an effortless manner. X21 UD will be powered with 3200mAH battery, which gives it a standby time of 12-14hrs depending on the usage of the users. Vivo X21 price in Pakistan is not officially announced till date by the Vivo officials, but according to rumors in the mobile phone industry it is expected to be around Rs.40,000. X21 is expected to be the next flagship smartphone by Vivo. It will be featuring a 6.28-inch touchscreen with a screen resolution of 1080x2280. This screen resolution will surely give an extravagant viewing experience on all sorts of media files and apps to its users. Under the hood of Vivo X21, you will see a 2.2GHz Octa-core processor along with 6GB of RAM. The phone will be running on Android operating system version v8.1. Moreover, it will be coming with 128GB of internal storage which the user can also expand up to 256GB via microSD card in SIM 2 slot. Vivo X21 is a dual SIM smartphone which comes with connectivity options like 3G/4G, Wi-Fi, Bluetooth, USB OTG, and GPS. Now let us talk about Vivo X21 cameras, at the rear you will see a dual 12+5MP with depth sensor and LED flash, whereas at the front you will get a 12MP selfie shooter. Both the rear and front selfie shooter camera of this phone is amazing and has the capability to capture and record videos and pictures in high definition quality. The phone is powered with 3200mAH battery, which gives it a standby time of 12-16hrs depending on the usage of the user. Nokia 8 Sirocco price in Pakistan is yet to be announced by Nokia officials, but as per the fan made rumors in the mobile industry regarding its price is that it will be around Rs.99,000. 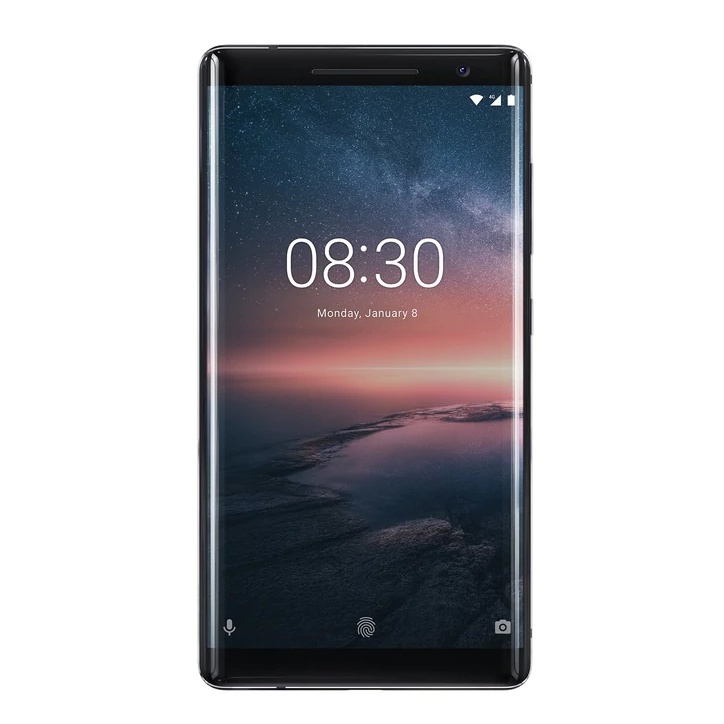 Nokia 8 Sirocco will be featuring a 5.5-inch touchscreen display with a screen resolution of 1440x2160. This kind of screen resolution by this upcoming Nokia phone will surely make the viewing experience on all sorts of media apps and photos catchy for its users. Under the hood, you will see a 1.9 GHz Octa-core processor along with 6GB RAM. The phone is expected to be 128GB of internal storage, which the user can also effortlessly expand up to 256GB via microSD card. When we talk about upcoming Nokia flagship phone 8 Sirocco cameras, you will be glad to know that it will be featuring a dual 12+13MP rear camera with autofocus and dual LED flash, whereas at the front you will get to see a 5MP selfie shooter. Both the cameras have remarkable video and picture capture result, which will surely be loved by the Nokia fans across this country. The phone will be powered with 3260mAH non-removable battery, which will give it a standby time of 12-16hrs depending on the usage of the users. The phone will be running on Android Oreo v8.1. The connectivity options available in Nokia 8 Sirocco include 3G/4G, Wi-Fi, NFC, GPS, and Bluetooth. Samsung Galaxy Note FE price in Pakistan is not officially announced until now by the Samsung officials, but as per the rumors in the smartphone industry related to its price it is expected to be around Rs.100,000. It is expected to be another upcoming flagship smartphone to be introduced by Samsung in near future. It will be featuring a 5.7-inch touchscreen with a screen resolution of 1440x2560 which will certainly be amazing. Under the hood, you will see a 2.3 GHz Octa-core processor which is coupled with 4GB of RAM. Note FE will be coming with an internal storage of 64GB, which the user can also effortlessly expand up to 256GB via microSD card. When we talk about Samsung Galaxy Note FE cameras you will be glad to know that it features a 12MP rear camera with autofocus and LED flash, whereas at the front you will get a 5MP selfie shooter. Both the cameras have the capability to record and shoot pictures and videos in high definition quality. The phone is going to be powered with 3200mAH which will be supporting fast charging. 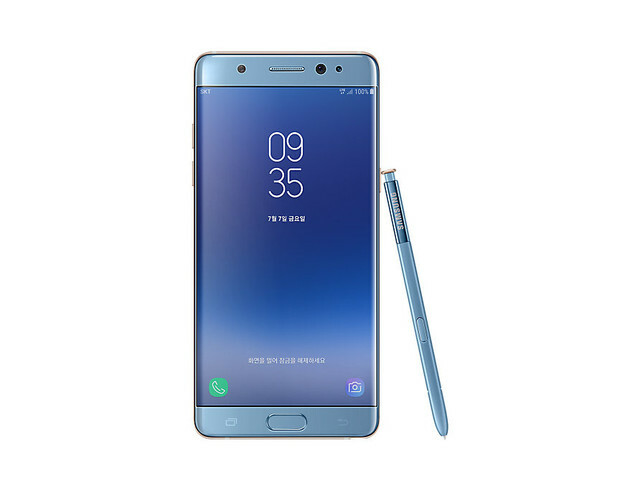 Galaxy Note FE will be running on Android v7.1 Nougat, which will also be upgraded to Oreo v8.0 in near future. Xiaomi Redmi Note 5 Pro price in Pakistan is Rs.30,999, which is quite reasonable as compared to other brand smartphones with similar features and specs. 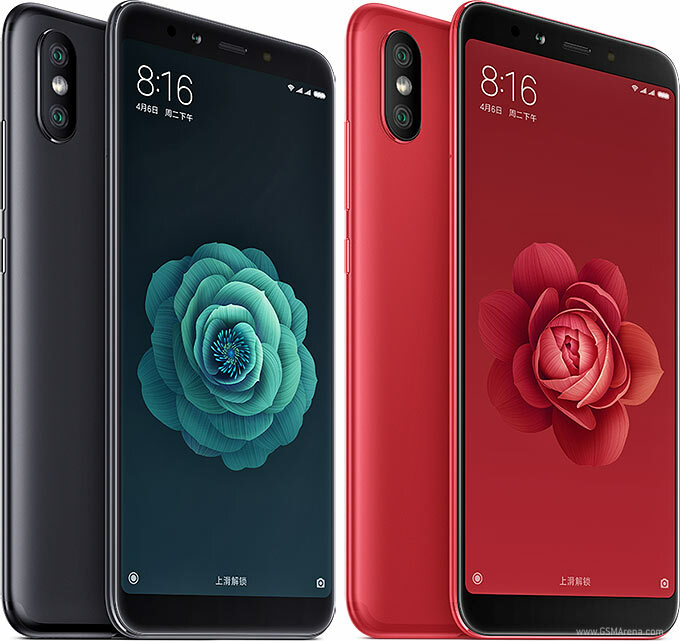 Xiaomi Redmi Note 5 Pro comes with a 5.99-inch touchscreen display with a screen resolution of 1080x2160 pixels which is quite impressive for the Xiaomi fans. Under the hood, you see 1.8GHz octa-core processor and it comes with 4GB of RAM. Redmi Note 5 Pro comes with 64GB of internal storage that can be expanded up to 128GB via a microSD card. As far as the Xiaomi Redmi Note 5 Pro cameras are concerned, it features a 12-megapixel rear camera and a 20-megapixel front shooter for selfies. Redmi Note 5 Pro runs on Android 7.1.1 Android operating system which will help it to perform multitasking in a lag-free manner. The phone is powered by a 4000mAh non-removable battery which gives it a standby time to 1-2 days depending on the usage of the users. It is a dual SIM (GSM and GSM) smartphone that accepts Nano-SIM in both SIM slots. The connectivity options available in this phone include Wi-Fi, GPS, Bluetooth, USB OTG, FM, and 3G/4G. It is going to be a lightweight smartphone. Oppo Find X price in Pakistan is yet to be officially disclosed by the Oppo officials, but as per the rumors it is expected to be around Rs.100,000. 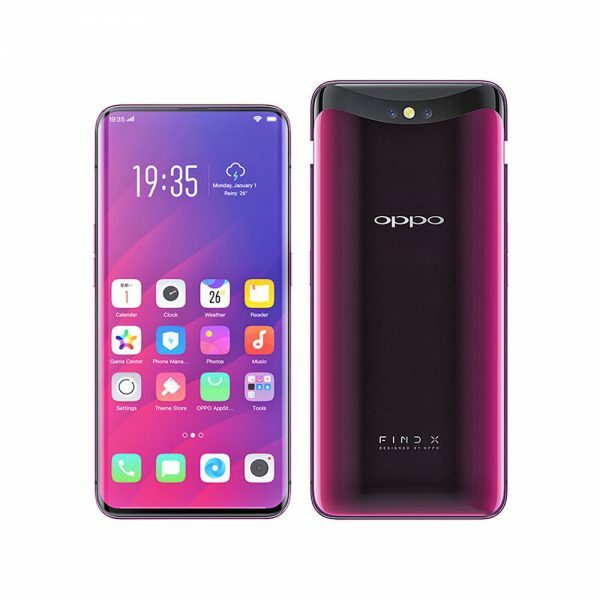 It is an upcoming flagship smartphone by Oppo which will be featuring a 6.42-inch touchscreen display with a screen resolution of 1080 x 2340 pixels. Find X will be running on the latest Android operating system Android v8.1 (Oreo) which will help it to perform all sorts of multi-tasking in an effortless manner. Under the hood, you will see a 2.8GHz Quad-core + 1.8 GHz Quad-core processor which is paired with 8 GB of RAM. Oppo Find X is going to be powered with 3730mAh battery that will be giving it a standby time of 16hrs depending on the user’s usage. Oppo Find X cameras are also going to be impressive as they will be featuring a pop-up dual 16+20MP rear camera with PDAF and dual LED flash, whereas at the front you will get a pop up 25MP front selfie shooter. The phone is expected to be coming with an internal storage capacity of 128/256GB. There will be no card slot that can help the users to expand its internal storage. The connectivity options that will be available on this smartphone include Wi-Fi, Bluetooth, 3G/4G, USB-OTG, and GPS. Xiaomi Redmi 6 price in Pakistan is not officially announced yet by the Xiaomi officials, but it is expected to be around Rs.16,000. It is going to be a midrange smartphone by Xiaomi. 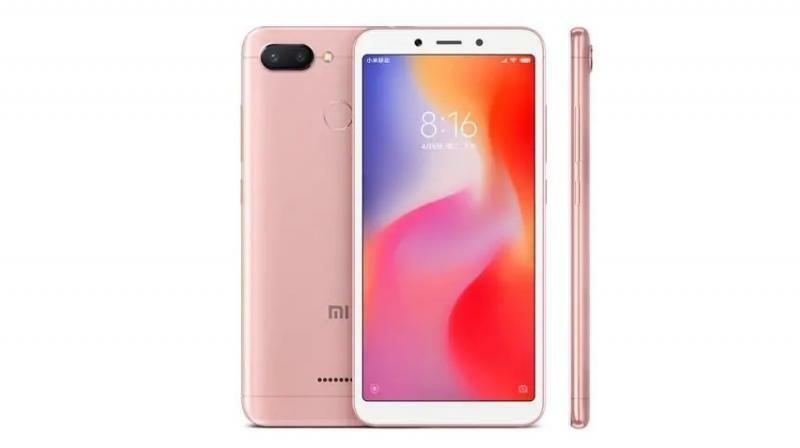 Redmi 6 will be featuring a 5.45-inch touchscreen display with a screen resolution of 720x1440 pixels, which is amazing for this price range smartphone by Xiaomi. Under the hood, you get to see a 2.0GHz Octa-core processor which is coupled with 3GB of RAM. It is going to be featuring 32GB of internal storage which the users also have the choice to expand it up to 256GB via microSD card. The phone is expected to be running on Android Oreo 8.1. Xiaomi Redmi 6 cameras are also expected to be good, as it will be featuring a dual 12+5MP rear camera with a depth sensor and LED flash, whereas at the front you will see a 5MP selfie shooter. The phone is going to be powered with a 3000mAh non-removable battery. Redmi 6 is going to be a dual-SIM (GSM and GSM) smartphone that accepts Nano-SIM in both SIM slots. The connectivity options which will be available in this upcoming Xiaomi mobile phone include Wi-Fi, GPS, Bluetooth, USB OTG, 3G/4G and FM radio. Samsung Galaxy J8 price in Pakistan is also not announced till date by the Samsung officials, but as per the rumors by its fans in the mobile phone industry it is expected to be around Rs.32,000. Galaxy J8 will be featuring a 6.0-inch touchscreen display with a screen resolution of 720x1440 pixels. Under the hood of this upcoming J series smartphone by Samsung, you will see a 1.8GHz Octa-core processor which is coupled with 4GB of RAM. Samsung Galaxy J8 packs 64GB of internal storage which the users will also have the option to expand it up to 256GB via a microSD card. The phone will be running on Android Oreo v8.0. Galaxy J8 will be a dual SIM mobile phone, which will support Nano-SIM in both slots. When we talk about Samsung Galaxy J8 cameras you will see a dual 16+5MP rear camera with depth sensor and LED flash, whereas at the front you get to see a 16MP selfie shooter with LED flash. The phone is going to be powered with a 3500mAh non-removable battery. The connectivity options that will be available on this phone include 3G/4G. Wi-Fi, GPS, Bluetooth, and FM. 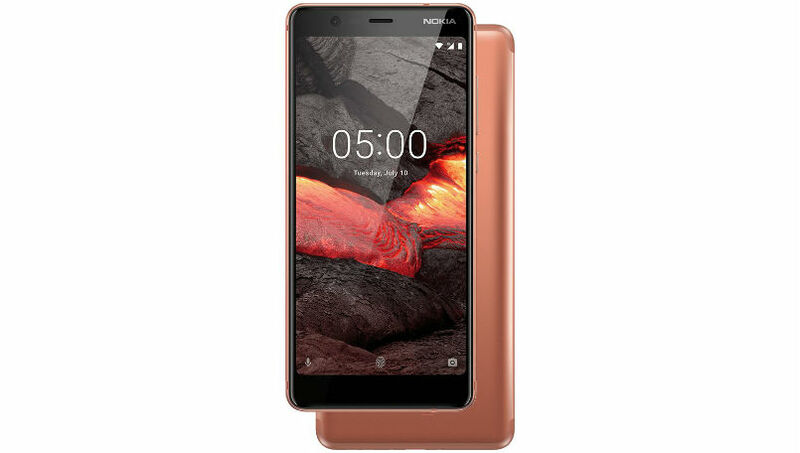 Nokia 5.1 price in Pakistan is not officially confirmed by the Nokia officials for the consumers of this region. However, there are expectations that it will be around Rs.30,000. It will be featuring a 5.5-inch touchscreen display with a screen resolution of Full HD 1080 x 1920 pixels. It will be running on the latest Android operating system Android v8.0 (Oreo) operating system. Under the hood of this upcoming Nokia mobile phone, you will see a 2.0 GHz Octa-core processor which is paired with 2/3 GB of RAM. The phone will be coming with an internal storage of 16/32GB which can be expanded up to 256GB via microSD card. It is going to be a dual-SIM smartphone by Nokia for its consumers. Nokia 5.1 cameras are also good, as it will be featuring a 16MP rear camera with PDAF and dual tone dual LED flash, whereas at the front you get to see an 8MP selfie shooter. The phone is going to be powered with 3000mAH battery, which will give it a standby time of 12-16hrs depending on the usage of the users. Vivo X21i price in Pakistan is not disclosed yet by the Vivo officials for its consumers living in this region. 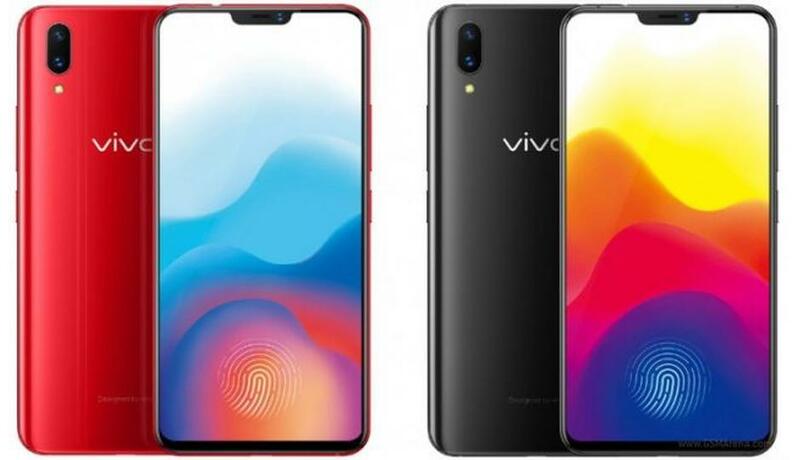 Though, there is a fan made rumors in the mobile phone industry related to this upcoming Vivo mobile phone price that it will be around Rs.50,000. X21i will be featuring a 6.28-inch touchscreen display with a screen resolution of 1080x2280 pixels. Under the hood of Vivo X21i, you will get to see a 2.0 GHz Octa-core processor which is coupled with 4GB of RAM. It will be coming with 64GB of internal storage which the user can expand up to 256GB via a microSD card. The phone will be running on the latest Android operating system Oreo v8.0. Vivo X21i cameras are also state of the art, as it will be featuring a dual 12+5MP rear camera with PDAF, depth sensor and LED flash, whereas at the front you will see a 24MP selfie shooter. The phone is going to be powered with 3245mAh non-removable battery. It will be a dual SIM (GSM and GSM) smartphone that accepts Nano-SIM in both SIM slots. 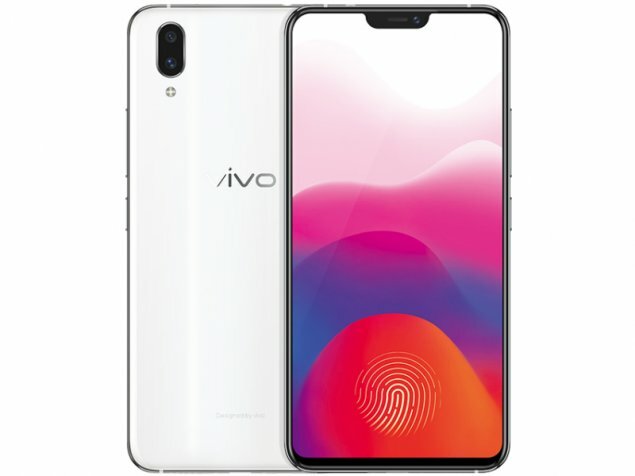 The connectivity options which will be available in the Vivo smartphone include 3G/4G, Wi-Fi, GPS, Bluetooth, USB OTG, and FM. 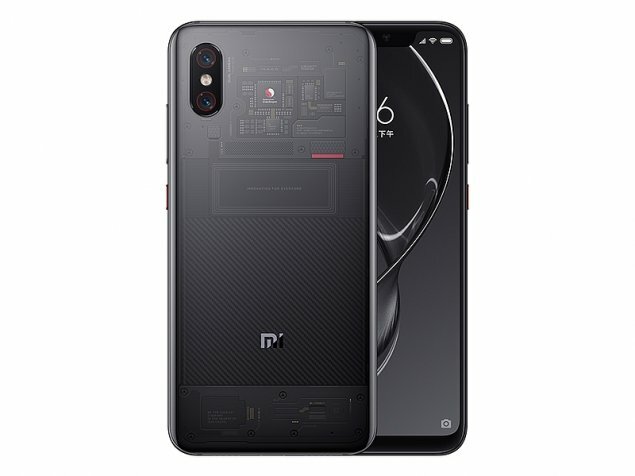 Xiaomi Mi 8 Explorer price in Pakistan is yet to be officially announced by the Xiaomi officials, but there are fan made expectations that its price will be around Rs.100,000. Xiaomi Mi 8 Explorer will be featuring a 6.21-inch touchscreen display with a screen resolution of 1080x2248 pixels with a PPI of 402 pixels per inch. Under the hood, you will get to see a 2.8GHz Octa-core processor which is coupled with 8GB RAM. The phone will be coming with 128GB of internal storage which the user cannot expand as there will be no card slot. Mi 8 Explorer will be running on the latest Android operating system Oreo v8.0, which will help this phone to perform all sorts of multi-tasking in an effortless manner. Xiaomi Mi 8 Explorer cameras are also extraordinary as it will be featuring a dual 12+12MP rear camera with dual pixel PDAF and dual LED flash. At the front, you get to see a 20MP front selfie shooter. The phone will be powered with 3000mAh non-removable battery. It is also going to be a dual SIM smartphone that accepts Nano-SIM in both SIM slots. The connectivity options which will be available in this Xiaomi flagship mobile phone include Wi-Fi, GPS, Bluetooth, 3G/4G, NFC and USB OTG. 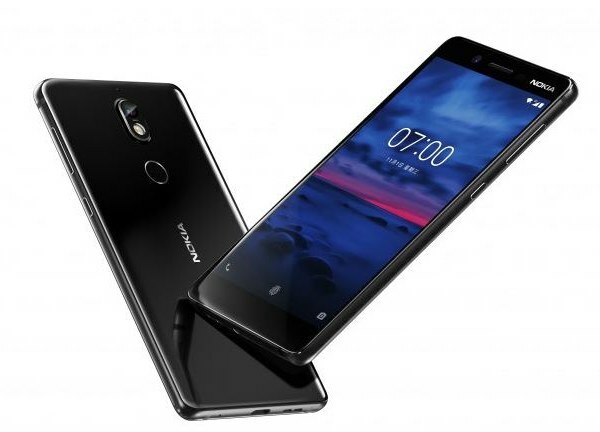 Nokia 7 price in Pakistan is yet to be officially confirmed by the Nokia officials, but as per the expectations about its price by its valued customers, it will be around Rs.42,999. It will be featuring a 5.2-inch touchscreen display with a screen resolution of 1080x1920 pixels, which will give a spectacular viewing experience. Under the hood, you will be seeing a 2.2GHz Octa-core processor which is coupled with 4/6GB RAM. Nokia 7 will be coming with 64GB of internal storage which the user can also expand up to 256GB via microSD card. It is going to be a dual SIM smartphone which will support Nano SIM in both SIM slots. The phone will be running on Android v7.1.1 Nougat which will also be upgraded to Oreo v8.1. Nokia 7 cameras are also spectacular as it will be featuring a 16MP Carl Zeiss rear camera with dual tone dual LED flash, whereas at the front you get to see a 5MP selfie shooter. The phone will be powered with a 3000mAh battery with fast charging support. This battery size will give this phone a standby time of 12-14hrs depending on the usage of the users. The connectivity options that will be available on this phone include Wi-Fi, 3G/4G, Bluetooth, FM Radio, and GPS. Sony Xperia R1 Plus price in Pakistan is not officially announced till date by the Sony officials. However, there is a fan made expectations that its price will be around Rs.40,000. 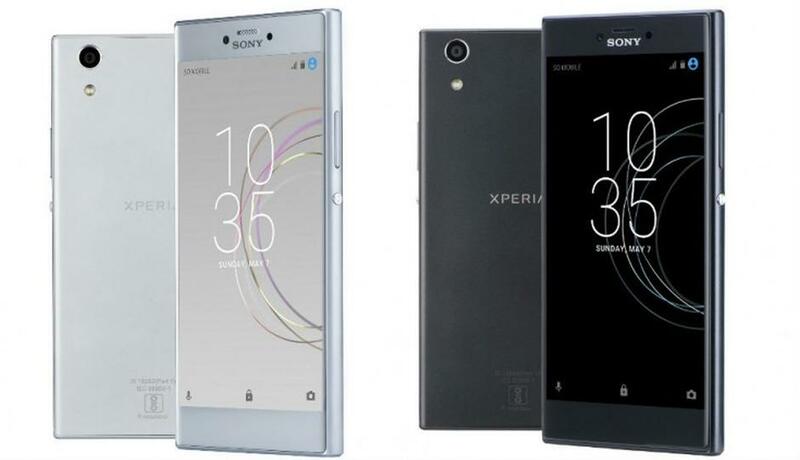 Xperia R1 Plus will be featuring a 5.20-inch touchscreen display with a screen resolution of 720x1280 pixels which will make the user’s viewing experience extravagant. Under the hood, you get to see a 1.5 GHz Octa-core processor which is coupled with 3GB RAM. The phone will be coming with 32GB of internal storage which the user can effortlessly expand up to 256GB via microSD card. 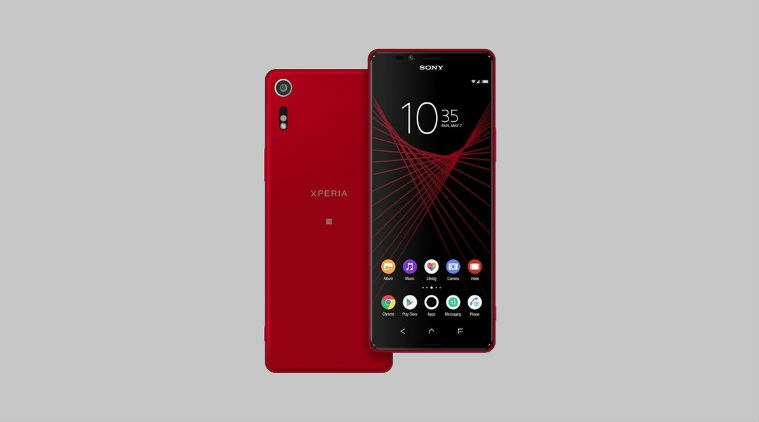 Xperia R1 plus cameras are also going to be of good quality as it will be featuring a 13-megapixel primary camera on the rear and an 8-megapixel front shooter for clear and bright selfies. The phone will be powered with a 2620mAH non-removable battery, which gives it a standby time of 12-14hrs depending on the usage of the users. It will be a dual SIM mobile phone that accepts Nano-SIM in both SIM slots. Sony Xperia R1 plus will be featuring connectivity options like 3G/4G, Wi-Fi, GPS, Bluetooth, USB OTG, and FM. The phone will be running on Android Nougat v7.1.1 which is yet to be confirmed that will it get an Oreo update or not. 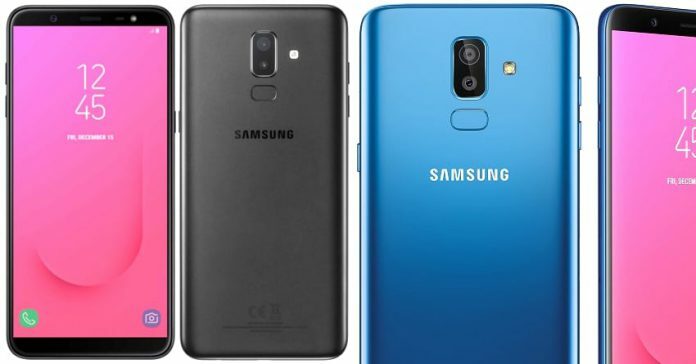 Samsung Galaxy C10 price in Pakistan is not officially confirmed till date by the Samsung officials, but as per the rumors in the mobile phone industry it is expected to be around Rs.50,000. Galaxy C10 will be featuring a 6.0-inch touchscreen display with a screen resolution of 1080x1920 which will make the users experience vivid and stunning colors on almost everything. Under the hood, you will be seeing a 2.2 GHz Octa-core processor which is coupled with 6GB RAM. The phone will be coming with 64/128GB of internal storage which the user can also expand up to 256GB via microSD card. C10 will be running on Android operating system version v7.1.1 Nougat. When we talk about Samsung Galaxy C10 cameras, you will be seeing a dual 13MP rear camera with PDAF, dual LED, and dual-tone flash, whereas at the front you will get to see a 16MP front selfie shooter. The phone will be powered by a 4000mAH battery, which will give a standby time of 2-3 days. It is going to be a dual SIM smartphone which will support Nano SIM. The connectivity options that will be available in this smartphone include 3G/4G, Bluetooth, Wi-Fi, GPS, and Radio. Motorola Moto Z2 Force price in Pakistan is not officially confirmed till date by the Motorola officials for its valued consumers. Though, there are expectations that it will be priced around Rs.40,000. Moto Z2 Force will be featuring a 5.50-inch touchscreen display with a screen resolution of 1440x2560 pixels. Under the hood, you will get to see a 2.35GHz Octa-core processor which is coupled with 6GB of RAM. Z2 Force will be coming with 64GB of internal storage that can be expanded up to 200GB via a microSD card by its users. The phone will be running on latest Android Operating System Oreo v8.0, which will allow it to perform all sorts of multitasking in an effortless manner. 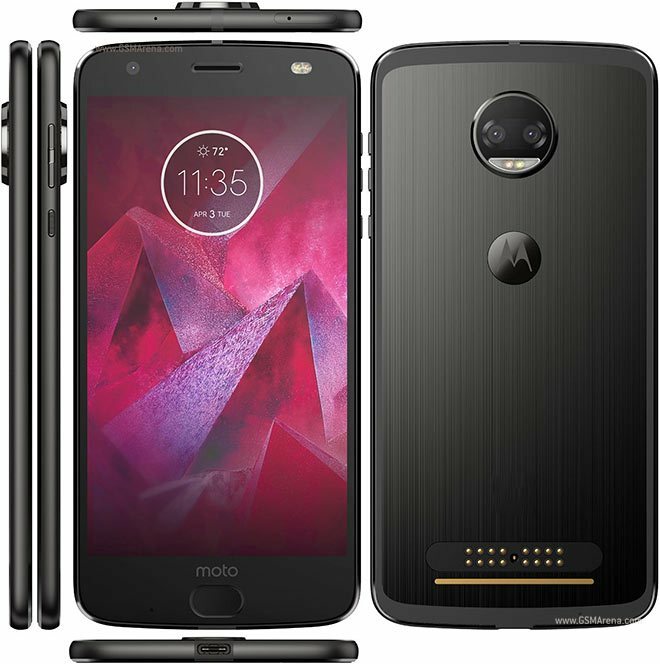 Motorola Moto Z2 Force cameras are also going to be exceptional as it will be featuring a dual 12MP rear camera with PDAF, laser autofocus and dual tone LED flash. At the front, you get to see a 5MP selfie shooter with dual tone dual LED flash. The phone will be powered with 2730mAH non-removable battery, which gives it a standby time of 12hrs depending on the user’s usage. The connectivity options that will be available in this smartphone include 3G/4G, Wi-Fi, GPS, Bluetooth, NFC and USB OTG. Sony Xperia X Ultra price in Pakistan is not officially announced by the Sony officials for the consumers in this region, but as per fan made rumors related to its price in the mobile phone industry it is expected to be around Rs.100,000. Xperia X Ultra will be featuring a 6.4-inch touchscreen display with a screen resolution of 1440 x 2880 pixels. The phone will be running on Android v7.0 (Nougat) operating system. Under the hood, you will get to see a 1.8 GHz Hexa Core processor which is coupled with 4GB RAM. The phone will be coming with 64GB of internal storage which the user can also expand up to 256GB via microSD card. Sony Xperia X Ultra cameras are also impressive as it will be featuring a 19MP rear camera with autofocus and LED flash, whereas at the front you will get to see a 13MP front selfie shooter that has the capability to shoot bright and high definition quality selfies. The connectivity options that are available include Wi-Fi, Bluetooth, GPS, Radio, and GPS. The phone will be powered with a 3050mAh battery, which will give it a standby time of 12-14hrs depending on the usage. Samsung Galaxy S8 Active price in Pakistan is yet to be announced by the Samsung officials for its valued customers. However, as per the sources, the price of this upcoming Samsung phone is expected to be around Rs.70,000. S8 Active will be featuring a 5.8-inch touchscreen display with a screen resolution of 1440x2560 pixels, which will surely give the user an extravagant viewing experience. Under the hood, you will see a 2.35GHz Octa-Core processor which is coupled with 4GB RAM. The phone will be coming with 64GB of internal storage that can be expanded up to 256GB via a microSD card. 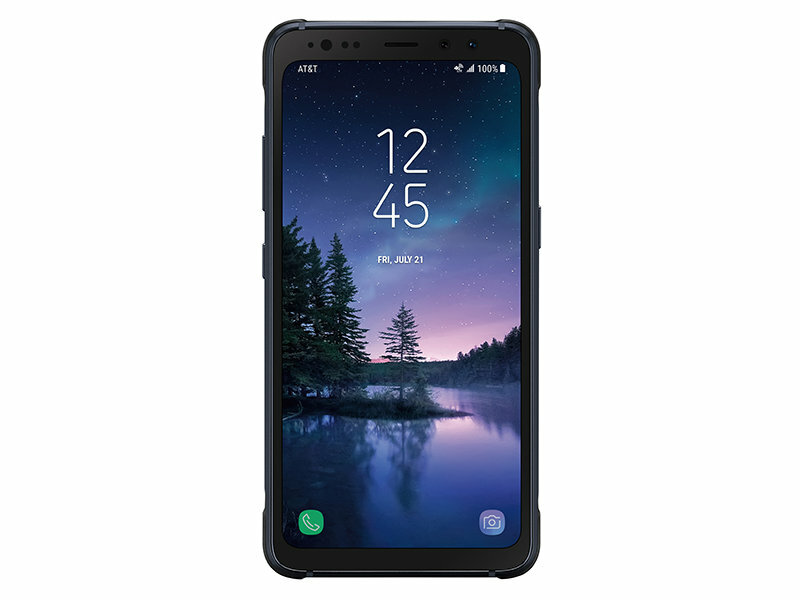 When we talk about Samsung Galaxy S8 Active cameras, you will be seeing a 12MP rear camera with autofocus and LED flash, whereas at the front you will get to see an 8-megapixel front shooter for selfies. The phone will be running on Android version Nougat v7.0 which will later be upgraded to Oreo v8.1. S8 active will be powered with 4000mAH non-removable battery. The connectivity options that will be available include 3G/4G, Wi-Fi, GPS, and Bluetooth. Meizu M6s price in Pakistan is not officially disclosed yet by the Meizu officials, but it is expected to be around Rs.30,000. The phone will be featuring a 5.7-inch touchscreen with a screen resolution of 720x1440 at a PPI of 282 pixels per inch. Under the hood, you will get to see a 1.6GHz Hexa-core processor which is coupled with 3GB RAM. It will be coming with an internal storage capacity of 32GB which the user can also expand up to 128GB via microSD card. The phone will be running on Android operating system version v7.1 Nougat. It is going to be a dual SIM smartphone. Now let us talk about Meizu M6s cameras, you get to see a 16MP rear camera with LED flash, whereas at the front you will see an 8MP front selfie shooter. The phone will be powered with 3000mAh non-removable battery. The connectivity option that will be available on this phone includes Bluetooth, Wi-Fi, USB OTG, 3G/4G, and GPS. Huawei Honor View 10 price in Pakistan is officially announced by the Huawei authorized individuals and as pee fan made expectations its price is Rs.52,000. 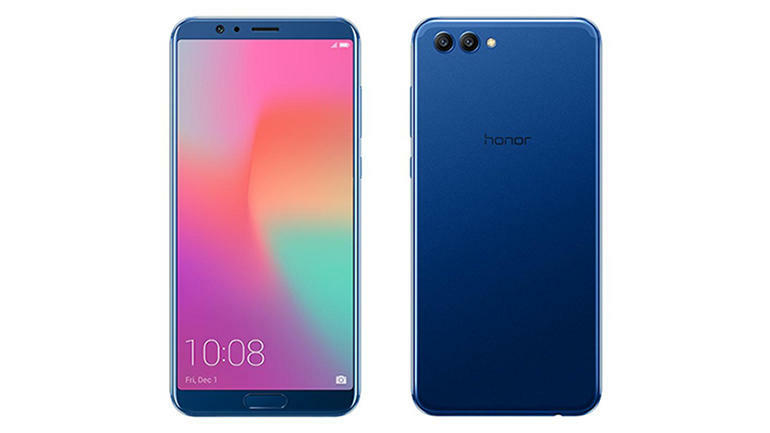 Honor View 10 will be featuring a 5.9-inch touchscreen display with a screen resolution of 1080x2160 pixels at a PPI of 403 pixels per inch. Under the hood of Huawei Honor View 10, you get to see a 1.8GHz Octa-core processor which is coupled with 6GB of RAM. It will be coming with 128GB of internal storage that can be expanded up to 256GB via a microSD card by its users. The phone will be running on the latest Android operating system Oreo v8.1, which will help it perform all sorts of multitasking in an effortless manner. Huawei Honor View 10 cameras are also impressive as it will be featuring a 16+20MP rear camera with autofocus and LED flash, whereas at the front you get to see a 13MP front selfie shooter. Both the cameras have the ability to give high definition results on videos and pictures. The phone will be powered with 3750mAh non-removable battery. It will be a dual SIM smartphone that accepts Nano-SIM in both SIM slots. The connectivity options available in this phone include 3G/4G, Wi-Fi, GPS, Bluetooth, NFC, Infrared and USB OTG. Huawei Nova 2s price in Pakistan is still not officially announced by the Huawei officials, but it is expected to be priced at Rs.35,000. The phone will be featuring a 6.00-inch touchscreen display with a screen resolution of 1080x2160 pixels at a PPI of 402 pixels per inch, which will surely give its users an extraordinary and appealing viewing experience. Under the hood, you will get to see a 1.8GHz Octa-core processor which is coupled with 4GB of RAM. Nova 2s will be coming with 64GB of internal storage that can be expanded up to 256GB via a microSD card. It will be a dual SIM smartphone that accepts Nano-SIM in both SIM slots. 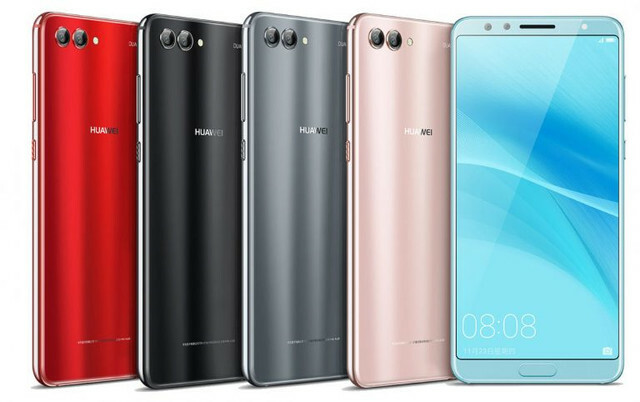 Huawei Nova 2s will be running on Android Operating system version v8.1 Oreo. When we talk about Huawei Nova 2s cameras you will get to see a dual 16+20MP rear camera with PDAF and LED flash, whereas at the front you get to see a dual 20+2MP front selfie shooter. The phone is going to be powered with 3340mAH nonremovable battery. The connectivity options that will be available on this phone include 3G/4G, Wi-Fi, GPS, Bluetooth, NFC and USB OTG. 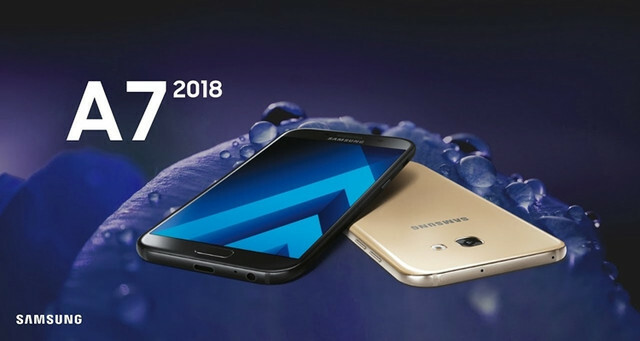 Samsung Galaxy A7 2018 price in Pakistan is not confirmed by the Samsung officials till date, but as per the fan-made expectations in the mobile phone industry related to its price is that it will be around Rs.40,000. It will be featuring a 5.7-inch touchscreen display with a screen resolution of Full HD 1080 x 1920 pixels. The phone will be running on Android v7.1.1 (Nougat) operating system. Under the hood, you get to see a 2.1 GHz Octa-core processor which is coupled with 4GB of RAM. As far as the battery is concerned the phone will be powered with 3750 mAh non-removable battery. When we talk about A7 2018 cameras, you get to see a 16MP rear camera with LED flash, whereas at the front you also get to see a 16MP selfie shooter. The phone will be coming with 32GB of internal storage which the user can also expand up to 256GB via microSD card. The connectivity options that will be available on this phone include 3G/4G, Wi-Fi, GPS, Bluetooth, NFC and USB OTG. Oppo R11s Plus price in Pakistan is still a hidden mystery for its fans in this region, but as per market rumors related to its price is that it is expected to be priced at Rs.55,000. The phone will be featuring a 6.43-inch touchscreen display with a screen resolution of 1080x2160 pixels. Under the hood, you get to see a 2.2GHz Octa-core processor which is coupled with 6GB of RAM. R11s Plus will be coming with an internal storage of 64GB that can be expanded up to 256GB via a microSD card. The phone will be running on Android v7.1.1, which will help it perform all sorts of multitasking in an effortless manner. It is going to be a dual SIM mobile phone that accepts Micro-SIM and Nano-SIM. Oppo R11s Plus cameras are also extraordinary as it will be featuring a 16+20MP rear camera with autofocus and LED flash, whereas at the front you get to see a 20MP front selfie shooter. The phone will be powered with a 4000mAH battery, which will help it to give a standby time of 2-3 days depending on the users' usage. The connectivity options which will be available in R11s plus include Wi-Fi, GPS, Bluetooth, NFC, 3G/4G and USB OTG. Huawei Mate 10 Porsche Design price in Pakistan is not confirmed till date by the Huawei officials. However, there are expectations that it will be priced at Rs.140,000 respectively. Mate 10 Porsche design will be featuring a 6.00-inch touchscreen display with a screen resolution of 1080x2160 pixels at a PPI of 402 pixels per inch, which will surely enhance the viewing experience for its valued users. Under the hood, you get to see a 2.4GHz Octa-core processor which is coupled with 6GB RAM. The phone will be coming with an internal storage capacity of 256GB with no memory card slot. It will be running on the latest Android operating system Oreo v8.1. 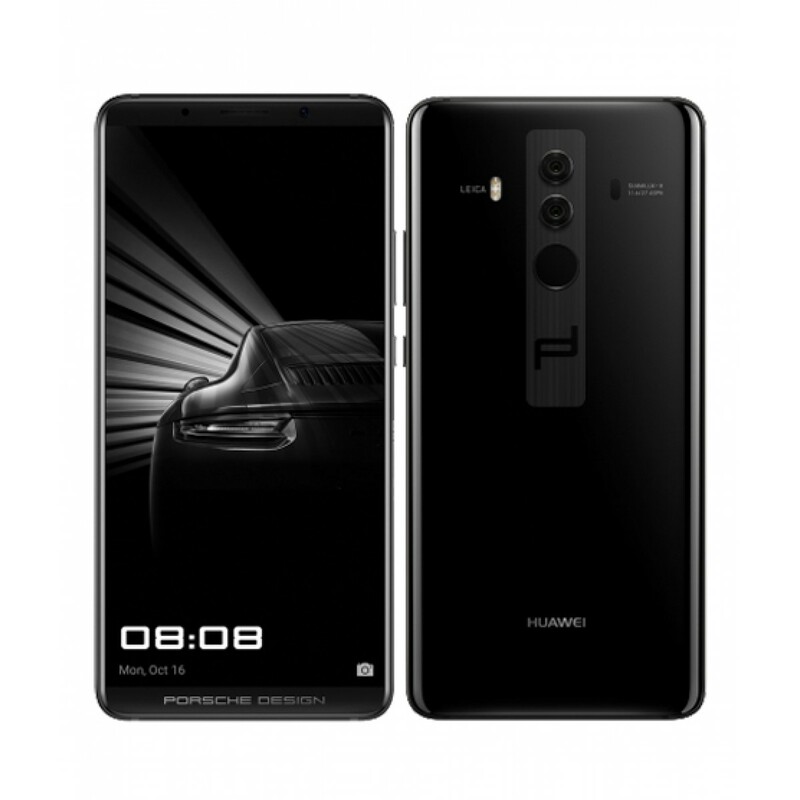 Huawei Mate 10 Porsche design cameras are also impressive as it will be featuring a dual 12+20MP Leica optics rear camera with PDAF, laser autofocus, and dual LED dual-tone flash. At the front, you will get to see an 8MP front selfie shooter. The phone will be powered by a 4000mAH battery, which will give it a standby time of 2-3 days. It is also going to be a dual SIM mobile phone. The connectivity options which will be available in Mate 10 Porsche Design include Wi-Fi, GPS, Bluetooth, NFC, 3G/4G and USB OTG. Nokia 9 price in Pakistan is not officially announced yet by the Nokia officials for its valued users in this region. Though, there are rumors in the smartphone industry that its price will be around Rs.70,000. 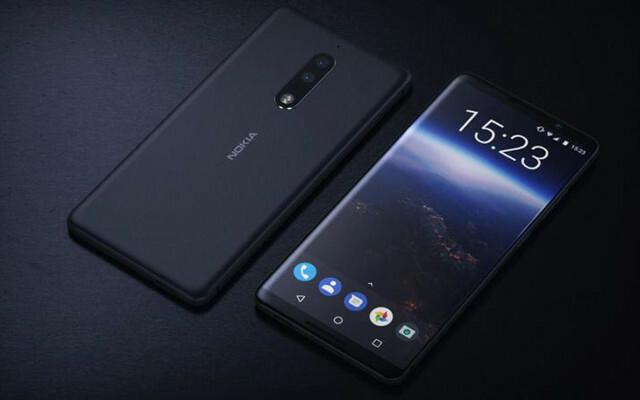 The phone is still a rumor though as none of Nokia officials have announced whether they will be officially launching this phone or not. Nokia 9 will be featuring a 5.5-inch touchscreen display with a screen resolution of 1440x2560. Under the hood, you will see a 2.5 GHz Octa-core processor which is going to be coupled with 4GB RAM. It will be coming with 64/128GB of internal storage capacity which the user can also expand up to 512GB via microSD card. When we talk about Nokia 9 cameras, you will see a dual 13MP rear camera with Carl Zeiss optics, PDAF, laser autofocus and dual LED dual-tone flash, whereas at the front you get to see a dual 5+5MP front selfie shooter. The phone will be running on Android Oreo v8.0, which will allow it to perform all sorts of multitasking in an effortless manner. It is going to be a dual SIM smartphone. The phone will be powered with 3250mAh non-removable battery. The connectivity options that are available in this upcoming Nokia phone you get to see 3G/4G, Bluetooth, GPS, and Wi-Fi.